Cocowhite is one of those products I am constantly seeing on Instagram and I have been desperate to try. I have to admit I have been very sceptical about using this as I was unsure of its capability. The product exceeded my expectations. Though my smile is still not quite as bright as Simon Cowell's, it is fair to say it is looking brighter! I love the packaging, it is very simple and fun. The sachets come in a compact box that features a unique image, along with bright bold colours. On the back of the box is all the information you need, what the product is, how to use it, the ingredients and information about the company. This is an all natural cruelty free product - which I love! It is a two week course, and is so simple to use. Simply squeeze one sachet of the coconut oil into your mouth and swirl it around for 15 minutes then repeat this everyday for 14 days. Now I am not going to lie and tell you that this product can work miracles, for me it simply removed stains and ultimately has given my teeth a brighter even colouring. The product quite simply is coconut oil with a small amount of flavouring, (the flavouring was not that strong to be honest). This would be easy enough to do at home without having to buy this box, but it is convenient having it all ready to use. To maintain the removal of discolouration (from caffeine etc) this is a process you would need to repeat every few months as it does not prevent future teeth staining! Overall I really like this product. 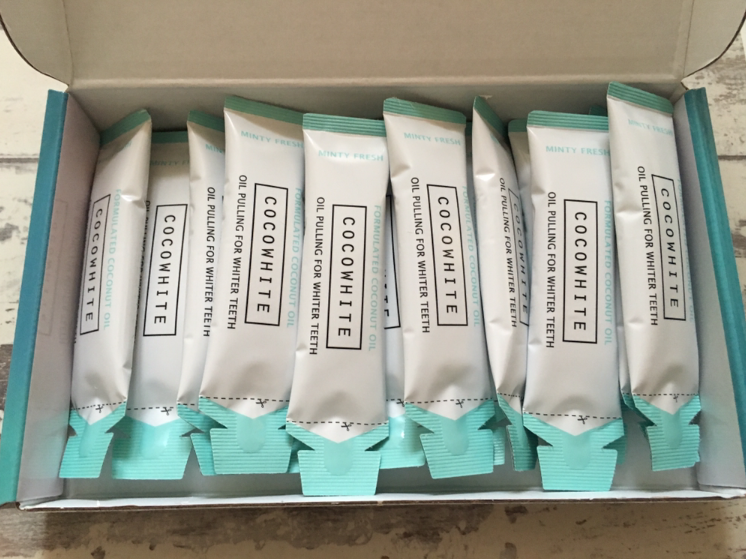 For me I started to notice subtle improvements quite quickly, and found that for the price tag (RRP £24.99) this product is reasonable if you are not willing to splash out hundreds of pounds on professional teeth whitening. Let me know your thoughts about this product? Have you tried it? Be sure to let me know in the comments section below! Disclaimer - This is not a sponsored post, all views and opinions are my own. Nice, lovely and informative. Thanks! I'm glad to hear you liked it! I'm currently having a Fresh Sugar Rose Lip Treatment giveaway and will have a new giveaway every Friday with products from UD, Too Faced, Fresh, Hourglass, Buxom and more. You should come check it out! I love products like this, great for going out! 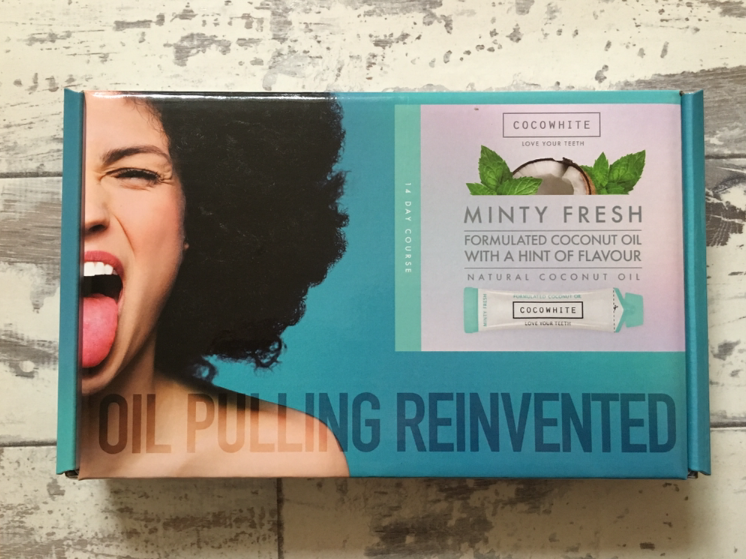 I've heard about coconut oil helping for whitening the teeth but didn't think it would work! I won a set like this in a giveaway and really liked it and did see good results but I found it so expensive! This looks great! I'm glad it worked for you as a cheaper alternative. I've always been curious about products like this! 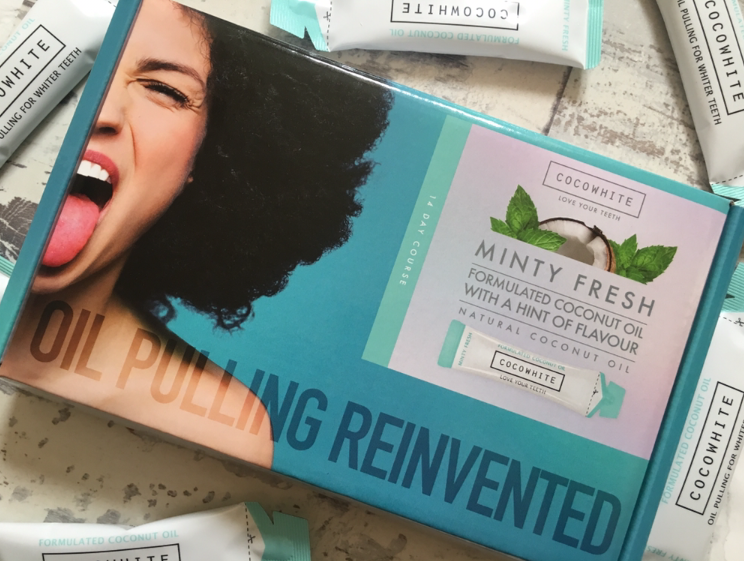 I tried oil pulling once and the texture put me off, I could barely keep it in my mouth for a minute haha. The flavoring probably helps with that! Thanks for the honest review.. I honestly forgot about oil-pulling. Definitely going to try this out again! This sounds quite good, I want to give it a go!